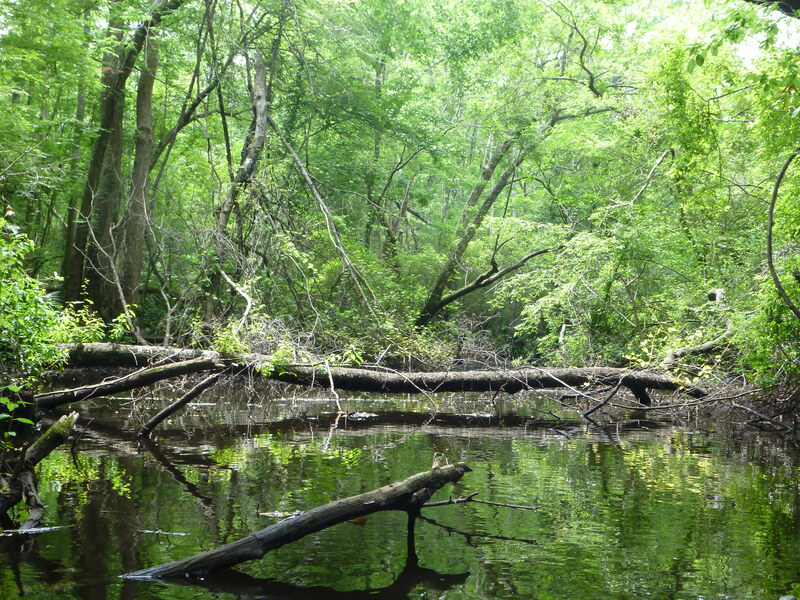 Blackwater River State Forest is home to many species on the federally endangered and threatened list. This entry was posted in Animals, Birds, Blackwater River State Forest, Endangered species, Insects, Native Wildflowers, Threatened and tagged Blackwater River State Forest, Florida birding, Florida insects, Insects, Threatened species on November 23, 2013 by marylynanded. 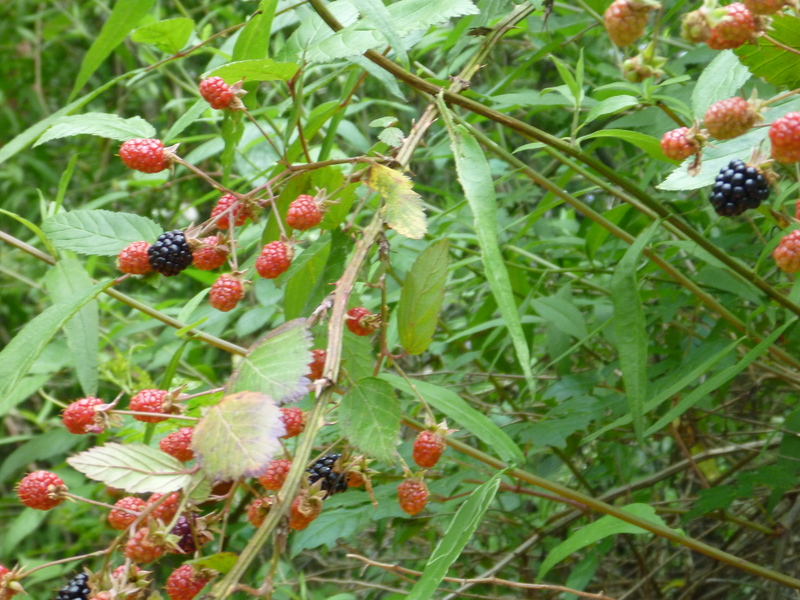 What blooms bears fruit and Tate’s Hell State Forest has food for birds, deer, turkey, water fowl, insects, fish and humans. This year the wild muscadines were in full fruit, blackberries and blueberries for eating out of hand with enough left for the animals. If you ever want to see these working creatures all on their separate daily missions, but complementing and benefitting each other, even as they are prey and predator — come spend some quiet, observing time in Tate’s Hell. This entry was posted in Animals, Birds, Insects, Native Wildflowers, Paddling, Tate's Hell, Tate's Hell State Forest, Tate's Hell wildflowers, Womack Creek on November 17, 2013 by marylynanded. Womack Creek, Tate’s Hell, upstream from Nick’s Road Primitive Camp site. After heavy rains, this area is deep enough to paddle, with fallen trees to limbo under, brush to avoid, but you may be rewarded by an otter, a barred owl flying overhead and wildflowers which still manage to bloom in the patches of sun they have found. Nick’s Road Primitive Camp Site is another isolated site which makes you think you have the wilderness all to yourself. Mosquitoes and yellow flies in the summer months. This entry was posted in Animals, Birds, Camping, Insects, Paddling, Tate's Hell State Forest, Tate's Hell wildflowers, Womack Creek and tagged Animals Tate's Hell, Florida camping, Florida Paddling, Paddling Tate's Hell State Forest, Tate's Hell State Forest on November 17, 2013 by marylynanded. 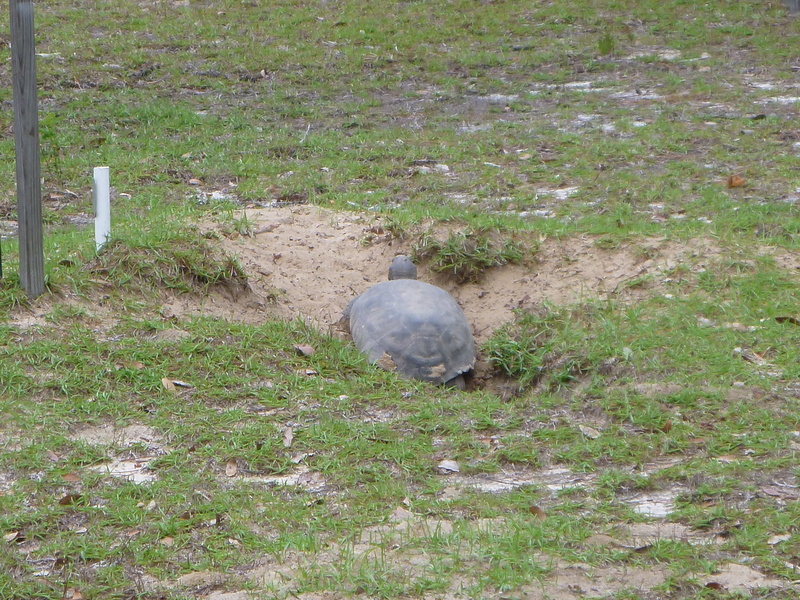 The gopher tortoise is on the threatened list and both the turtle and its burrow are protected by the state. (For regulation and penalties for destroying of burrows see Florida Fish and Wildlife Conservation Commission website, Wildlife and Habitat Category.) 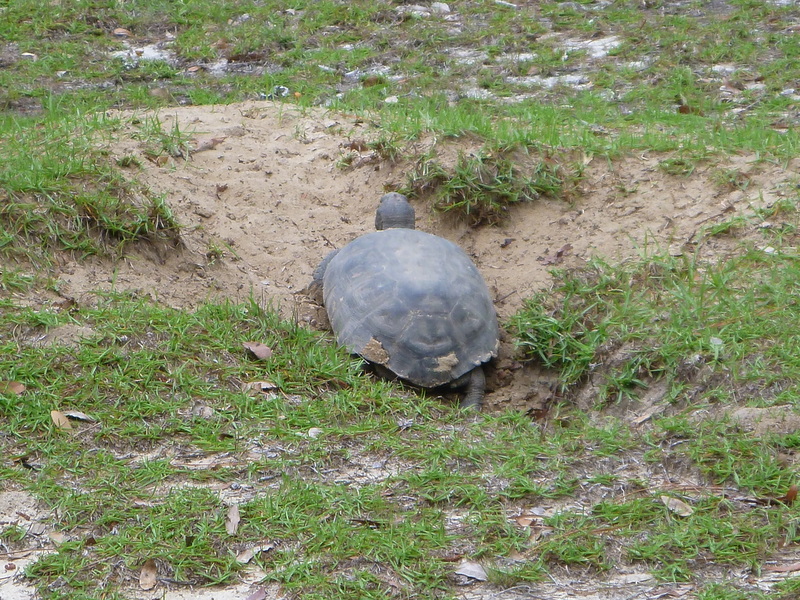 Three hundred and fifty (350) species of animals depend on the burrows of the gopher tortoise. Because of this, the tortoise is considered a keystone species. They prefer upland forests, much more common in Blackwater River State Forest than Tate’s Hell. This entry was posted in Animals, Tate's Hell State Forest, Threatened and tagged Animals Tate's Hell, Tate's Hell State Forest, Threatened species on November 17, 2013 by marylynanded. 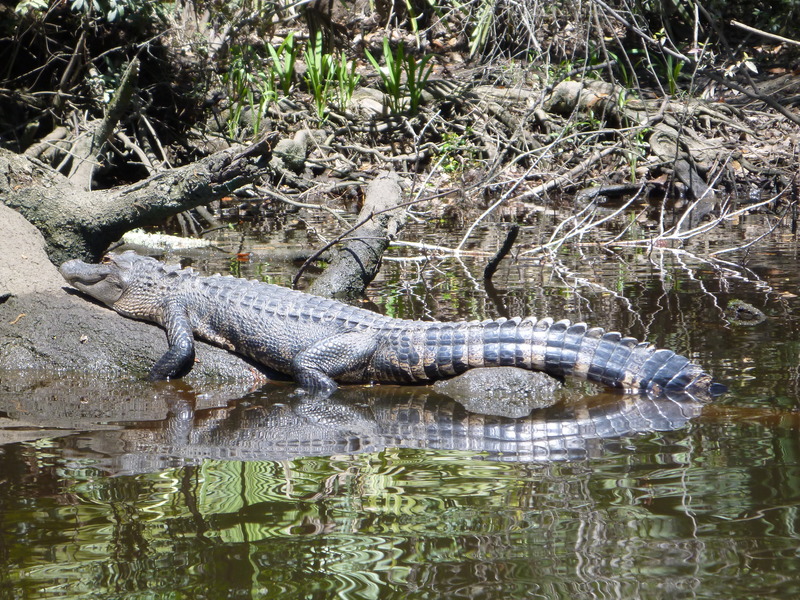 This alligator was basking in the best location for sun — a log on Womack Creek, east side of Tate’s Hell. This entry was posted in Animals, Tate's Hell, Tate's Hell State Forest, Womack Creek and tagged Animals Tate's Hell, Tate's Hell State Forest, Womack Creek on November 17, 2013 by marylynanded.